These tournaments are filled with freshmen who make freshmen mistakes which is why we finally saw a 16 seed beat a 1 seed and why we will continue to see it happen. Six seeds are usually watching from the couches by the time the Elite Eight rolls around, but the Wildcats are in the south region, the weakest in my opinion, with the most vulnerable one seed (Virginia). Gonzaga is the only team to defeat Duke at full strength and can equal or surpass the Blue Devils in terms of raw talent. Despite the fact that the Blue Devils don't shoot the ball well from deep, something that matters a lot in March, I can't see Duke faltering in its regional and I think they lock up a spot in the Final Four. But what about No.3 Purdue, who finished with a share of the Big Ten regular-season title and had 14 wins in 16 games before being ousted from the conference tournament? This year Obama made a few jarring picks that would definitely make for compelling basketball should they come to fruition - including a Duke-UNC men's final. That team had three senior starters, and this team's fourth-years are so anonymous that they couldn't even get on the court during senior night. 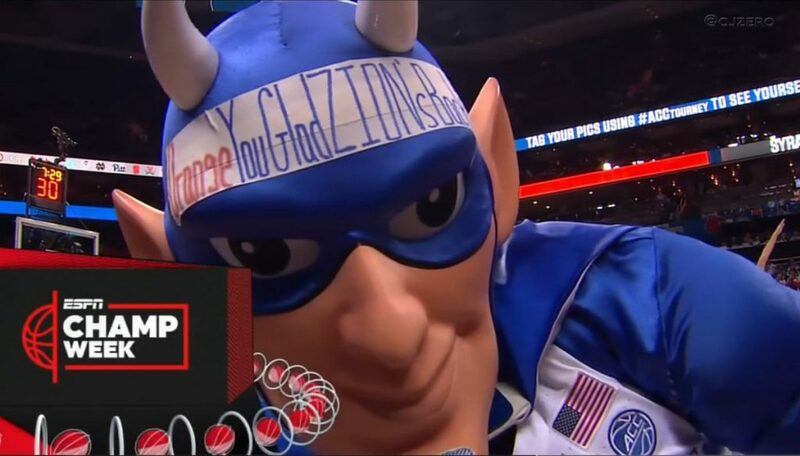 So, while the easy thing to do would be to just put money down on Duke to win, there is a very good chance that the Blue Devils don't make it to the title game. Gonzaga is incredibly well-rounded, ranking first in offensive efficiency and sixth in defensive efficiency. Much of the focus in the South is on No.1 Virginia and No.2 Tennessee. Saint Mary's has to be taken seriously after cruising past Gonzaga to win the conference tournament. As long as Zion Williamson stays healthy, they will win another NCAA Championship. If I had to predict, I would give UNC the slight edge. Now, the Tar Heels are flying under the radar in a winnable Midwest bracket. Local teams and two HBCU representatives were part of the tournament's opening as Farleigh Dickinson University defeated SWAC champion Prairie View A&M 82-76 Tuesday, while last night North Carolina Central of the MEAC faced North Dakota State and St. John's, playing its first game in the tournament since 2015, met up with Arizona State with the victor moving on to a match up with the University of Buffalo tomorrow afternoon. The Tar Heels rank 44th in three-point percentage and sixth in points inside the arc per game, making them so incredibly hard to stop on offense. Nobody thought a No. 16 seed would beat a No. 1 seed, but it happened past year. That shooting has propelled the Terriers to a 20-game winning streak. The Tar Heels beat the Terriers 78-67 to open the season.